New Construction! This Stockton home sits on a one of a kind naturalized homesite and offers living space where you want it most! 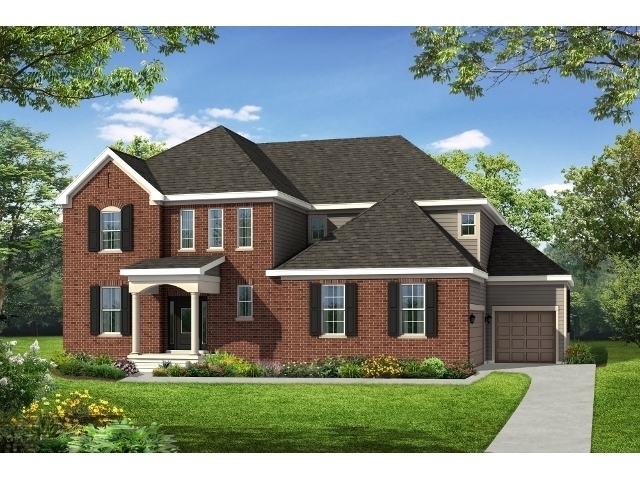 This Stockton features an 5 bedrooms and 3 full baths in an open concept w/ first floor guest suite with full bathroom. A 2 story foyer welcomes you as you enter this home which has hardwood flooring on the first floor. You&apos;ll love the large Gourmet kitchen w/ double oven and oversized island. With stainless steel appliances, white cabinets, granite countertops, and walk-in;pantry, this kitchen is a chef&apos;s dream! The great room features a corner fireplace to use during the chilly, Chicago months. Conveniently located off the garage entry is an oversized drop zone w/ closet to store your shoes and coats. Oak and iron railings decorate the staircase of this home. Upstairs you&apos;ll find 4 bedrooms and 2 full baths including a private owner&apos;s suite with shower and soaker tub. Please note that interior photos shown are of a similar but not exact home.